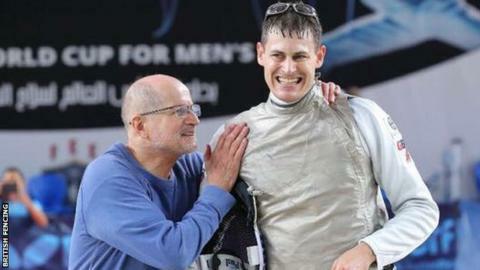 Briton Richard Kruse has moved up to world number four after winning gold in the men's foil at the Cairo World Cup. The four-time Olympian, who began the season as number six in the world, beat Italian Alessio Foconi 15-5. The London fencer, 34, defeated former world champions Alexey Cherimisinov of Russia and another Italian, Andrea Cassara, en route to the final. His coach Ziemek Wojciechowski said: "Richard gave a phenomenal performance confirming he is still world class."